Roller Shades have changed a lot over the years. They come in a wide variety of beautiful color, pattern, and texture choices to enhance the look of your home. In addition, we offer several “lift” options, including motorization for a safer home for both children and pets. At Victor Shade Company, we have many options for you to choose from with the help of our team of certified professionals. 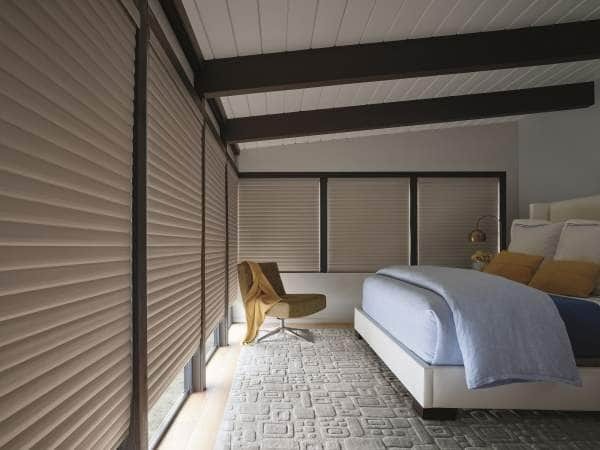 Minimal yet sophisticated, Hunter Douglas Designer Screen Shades provide UV protection, light control and style. They are available from a 0% openness factor, allowing no visibility to the outdoors, up to a 14% openness factor, allowing 14% visibility to the outside throughout the day. A modern take on the traditional roller shade, Designer Roller Shades offer an updated, sophisticated look to the traditional roller shade. You can choose from a variety of options like a room darkening and sheer shade combination so you can control your homes level of privacy and light. 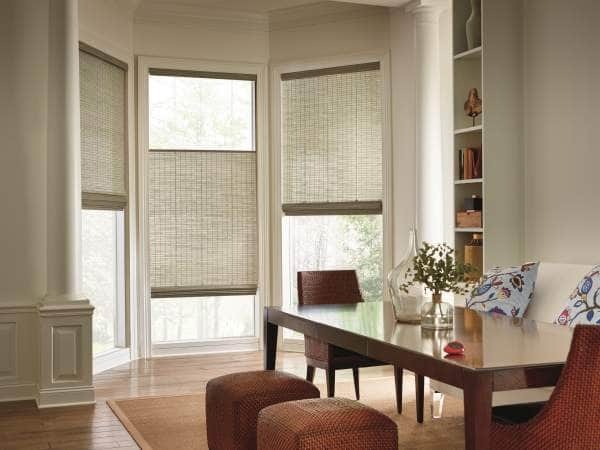 Sonnette® Cellular Roller Shades are a new Hunter Douglas product category. 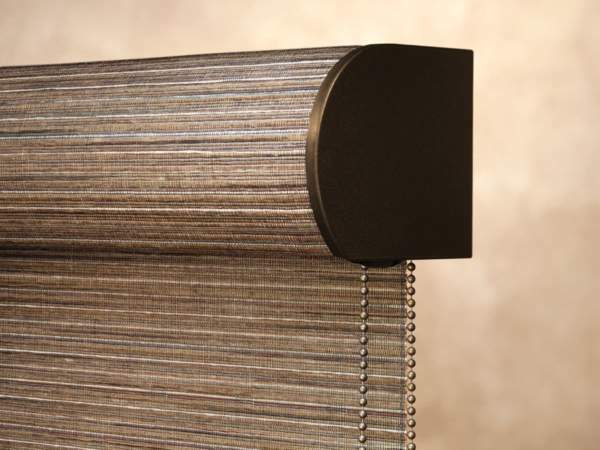 It combines the dynamic construction of a cellular shade with the clean lines and simplicity of a roller shade. The curved shape is similar in look to the Pirouette® Window Shade: It rolls into a cassette to leave your window completely clear. The Sonnette® also introduces SoftTouchTM Motorization. Provenance Woven Wood Shades are created from natural wood, bamboo, grasses, and reeds, bringing the warmth of nature into your home. Select from Standard Roman, Classic Roman, Hobbled Roman or Vertical Drapery. 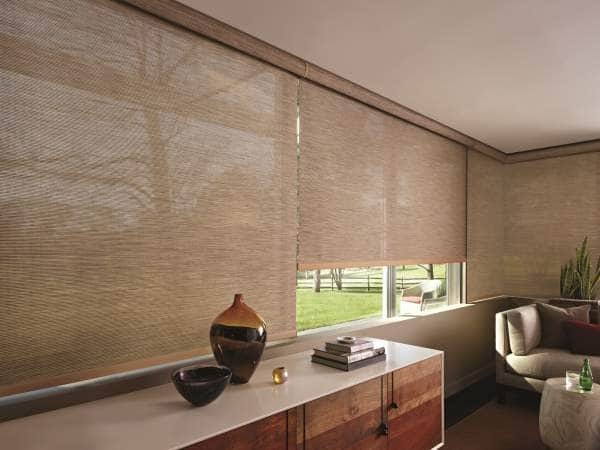 Alustra® Woven Textures offer a cross between a solar screen shade and a woven wood shade. Natural textures and woven patterns beautifully filter light and have a clean, simple appearance. Available in 12 fabrics and 47 colors. 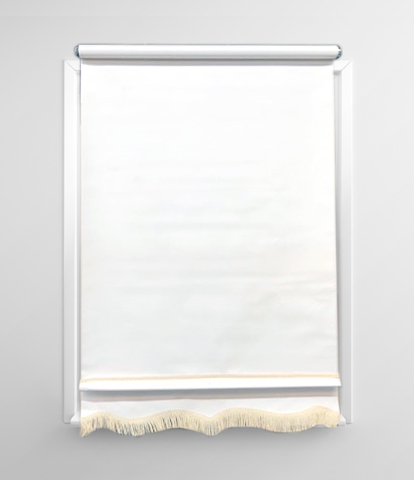 Interested in the classic simplicity of vinyl roller shades? Victor Shade makes them right in our shop. 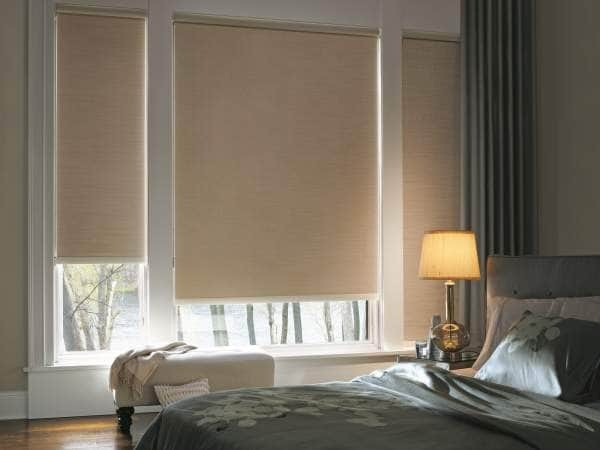 These shades are a cost-effective way to keep out the light and are extremely durable and easy to clean. Choose from semi-opaque, opaque, or more material in a variety of color choices.